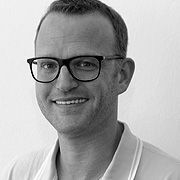 As Managing Partner of his own company, Malte manages a workforce of 30 people who engage in co-creativity through creative branding (agency), creative content (publishing), and creative dialogue (gallery). The company develops digital solutions and campaigns, publishes and international fashion magazine and run a gallery for contemporary photography. He concentrates on leadership as a systems coach and team developer, and also takes these skills outside his own company and acts as a consultant for other organizations in how to achieve mutually respectful, solution-oriented collaboration. Before starting his own organization, Malte previously worked for Euro RSCG, BBDO, DDB and Scholz & Friends Berlin, focussing on integrated campaign development and digital strategy. His clients have included companies such as Volkswagen, Audi, Henkel, Deutsche Post, Telekom, UPS and TNT Express.